For enterprises looking to increase efficiency and minimize the errors caused by change, a well implemented configuration management system could be the answer. However, it's creating and managing a proper configuration process that is the challenging part, especially with growing complexities in technology. 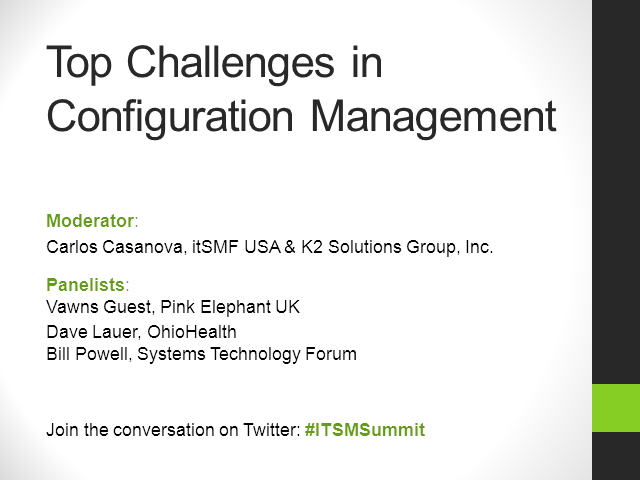 Join our panel of experts as they explore and discuss the challenges around Configuration Management to help guide you in your journey.